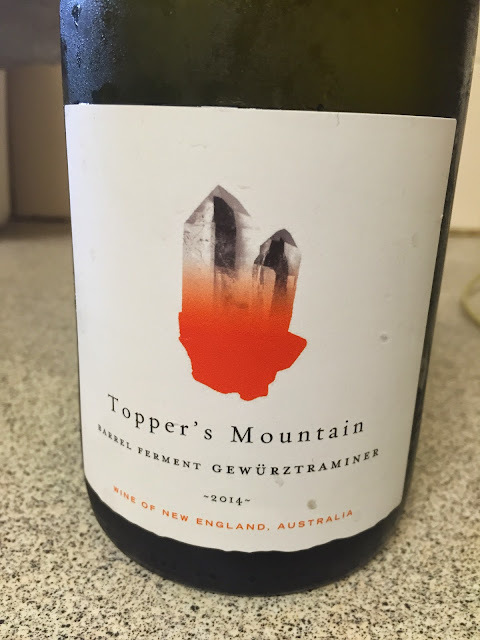 In a few short years, Topper’s Mountain has become one of the most exciting wine producers in the country, blazing a trail with not only alternate varieties, but blends that are wonderfully unique (Pinotage Viognier anyone?). Happily, the wines are now looking less like experiments, and more like great wines too – and none more so than the Gewurztraminer(s). This is the first barrel fermented Topper’s Gewurtz, and it might be even better than the ‘traditional’ wine. Crucially, the oak has just given weight here, the rare fragrance of Gewurtz not hobbled by barrel influences, with that classic delicate rose water and musk aromatics. If the nose is good then the palate is great, the flavours building, building building, the wine getting thicker, grippier and more powerful as it travels through the mouth, with a long, powerfully acidic, yet essentially delicate, finish. This captures the best aromatic bits of Gewurtz and a carefully balanced texture that’s neither too sweet, dry or phenolic. Very well done. A wine to bring you back to Gewurtz (if you ever left. I love Gewurtz by the way). Would I buy it? Yes. I’d be smashing a bottle of this with a green curry in no time. Sounds like a nice drop to go with spicy asian food, I'll keep my eye out for it, thanks!